Can anyone help me? This set of Dragon can be used to represent the British SBS recce group that operated in Pebble Island (Falklands Islands) in 1982? Because, I think this set represents SBS operators in early 90s. Am I right? Maybe the chances of a useful reply would be greater if this question was in the Figures forum in the Armorama section. Let me know if you would like to move it. Robin, thank you. Can you move it to the Figures forum. I'm afraid I disagree. With a few tweaks I feel these figures could be made into decent representations of the SF in the Falklands. Replace the headdress with woollen caps (something akin to the US Watch Caps or a rolled up Balaclava). The smocks wouldn't need much to modify to the DPM issued Artic or SAS Windproof - add some Milliput or similar to form a hood, either loose or rolled up. I might be wrong about the Chest Rigs but suspect that these would be around at the time - SF always seem to have access to whatever they want - ditto weaponry (!) As I've only got the illustration to go on I suspect a water bottle or 2 might be at the rear of the belt. This would be either 58 pattern, 44 pattern or even the US type. I'd replace the rifle with an earlier version from say, the Italeri weapons set. This would also be camouflage painted with say, green stripes. The British Army issue sniper rifle at the time was the 7.62mm L42A1 not the type depicted, but again, given the largesse the SF benefit from when it comes to weaponry, there may well have been other types available. You could of course always replace it with another M16 - the resultant pair of figures would still look pretty good I feel. The boots might need a bit of thickening up with a swipe or 2 or Mr Dissolved Plastic Putty to represent civilian pattern hiking boots favoured by SF. The desert ones shown might look a bit insubstantial otherwise. Uniform colours would of course be British DPM but I'm sure you know that; camouflage cream on face and hands. Canoe of course, as Al pointed out, was not used. Well never say never; the Wikipedia article on the raid does in fact say that Klepper canoes were used! Discuss....! Brian, your contribution is very elucidative. 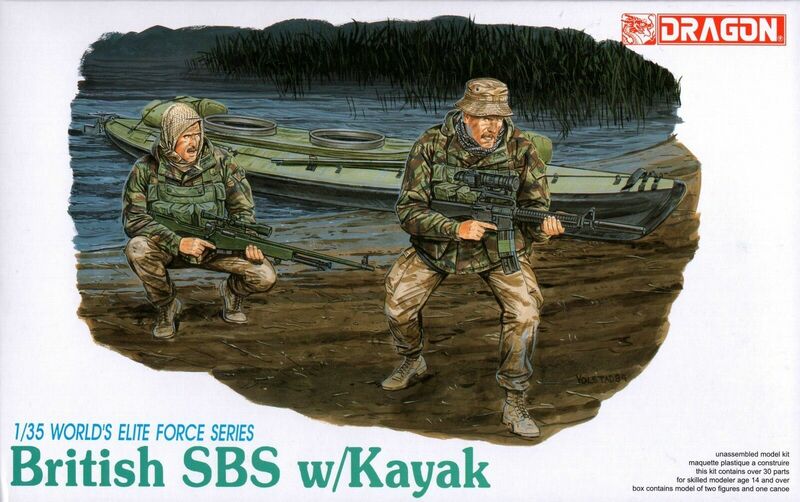 In all Falklands campaign, did not SBS or SAS use Klepper canoes? If not, do you have any suggestion were they used in 80s or 90s period? I read that SBS used it to insert operatives in Northern Ireland, although if they did it, certain SBS has been used civilian clothes. What do you think about it? 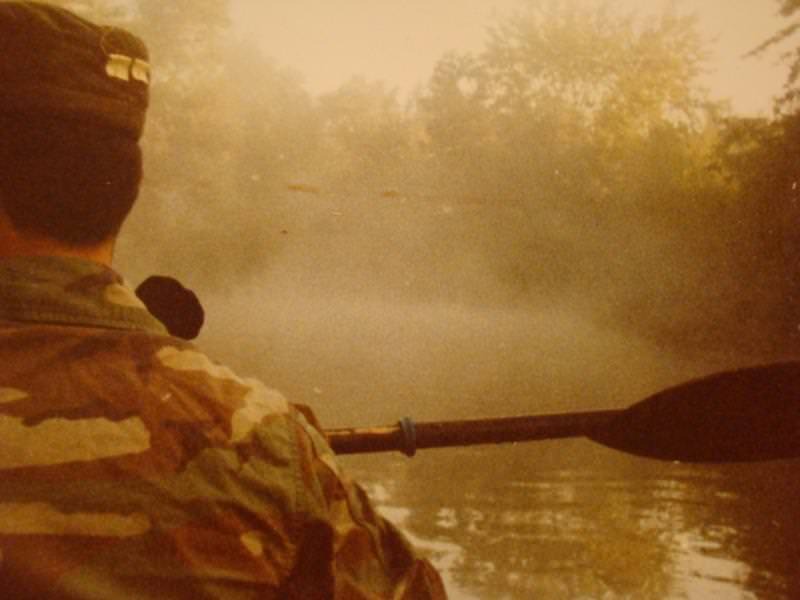 FurthermoreI read the Mackay and Cooksey's book entitled "Pebble Island", there the authors said that canoes did not use because of winds and sea state to insert SAS teams in the island but there is no mention about the the insertion of SBS recce teams before the assault. 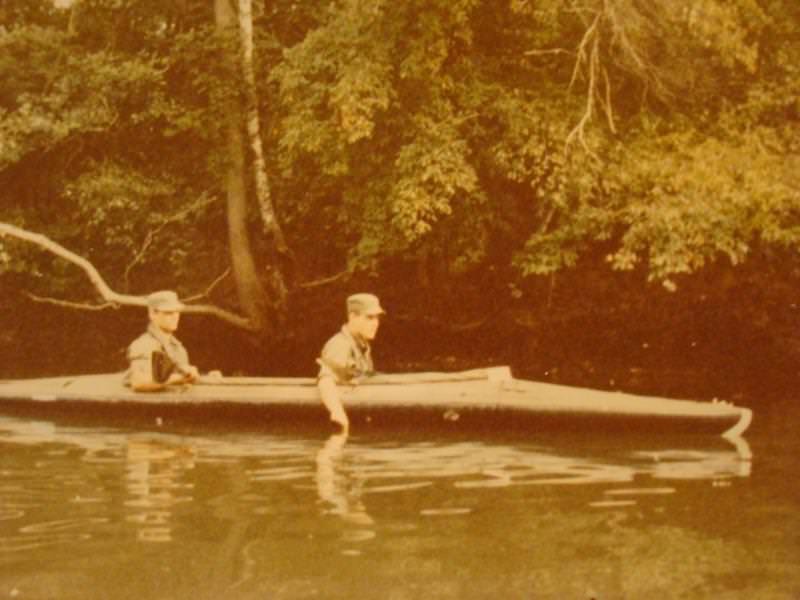 As you wrote, there is a information in Wikipedia (https://en.wikipedia.org/wiki/Raid_on_Pebble_Island) that SBS used this canoes to insert recce teams "Reconnaissance for the raid was conducted by personnel from the Boat Troop of D Squadron, conducting an infiltration by Klepper canoe. The patrol found that strong headwinds would increase the time taken to fly in from Hermes launch point, delaying time on target and reducing the available offensive window to thirty minutes, rather than the planned ninety. In light of this information the planning emphasised the importance of destroying the aircraft as a priority, with support personnel as a secondary priority." Only a disclaim about island's name that I'm using in present post. I'm using Falklands instead of Falklands/Malvinas because it is the atual and official name of them. This is not a political post. I suspect that like most SF operations, we'll never find out the exact truth. With this in mind, I don't think, should you decide to model a Falklands scenario using the canoe, that anyone will be able to gainsay you with any authority. As regards to ops in Northern Ireland, I have no idea; SF would use whatever they felt was necessary to infiltrate and achieve the aim; they were of course, extremely effective in doing just that but again, given the classified nature of all SF ops I don't think we'll ever get to hear about the fine details, which, as modellers is what we crave! I have since discovered more on the Dragon figures namely the rear box artwork showing the actual figures; I note that they are depicted wearing 2 x fairly large pouches on the rear of their belts. These are redolent of the 58 pat Rear Pouches and would require the support/fastenings of the yoke suspension system to be worn, so I think Dragon have it wrong here. I would suggest a belt order of smaller pouches fitted level with the belt and consisting of say, a few 58 pat water-bottle pouches (but not for that purpose), a water bottle or 2 as described earlier and the odd "utility" pouch purloined from I know not where, but not the 2 x large-ish pouches modelled by Dragon. Perhaps for the op on Pebble Island they would also have been festooned with grenades and 66mm rocket launchers, the latter being easy enough to model with plastic rod and card I should think. I would have to add the caveat that I'm no SF expert and that the members of the SF community will, as always, generally suit themselves and modify equipment to what works for them. Anyone else remember their first Klepper mission?